Old map by BENTLEY -TABLE LAND, and distant View of Cape Town at the CAPE of GOOD HOPE. Title: TABLE LAND, and distant View of Cape Town at the CAPE of GOOD HOPE. 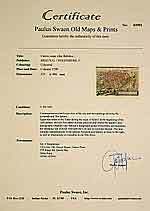 Size: 6.2 x 8.7 inches. Condition: In good condition. Lightly age toned , and with mild foxing. Wide margins. 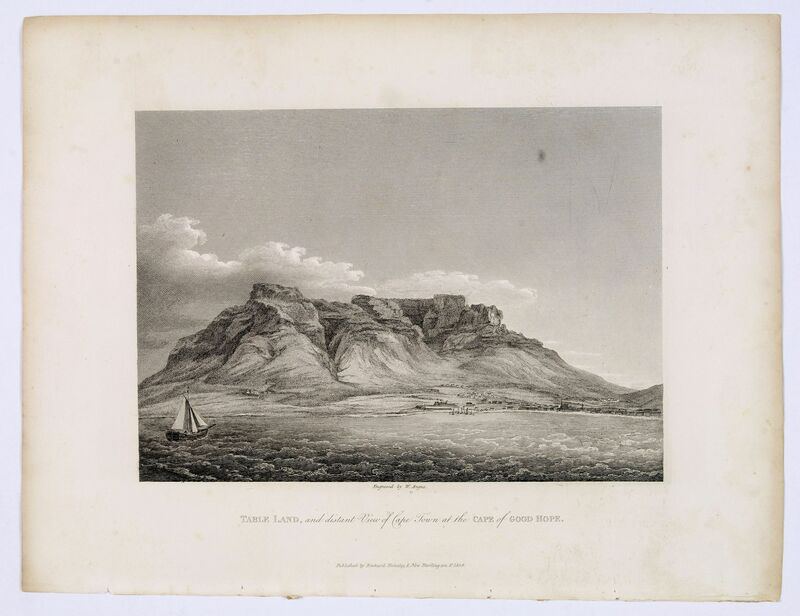 A nice engraving of Cape Town, published by Richard Bentley, after an earlier engraving by James Forbes, from his "Oriental Memoirs". The route around the Cape of Good Hope was the one that all ships took to get to the East from Europe. The most conspicuous landmark in the horizon when the ship docks at the Cape of Good Hope is the Table Mountain, often considered mystical and magical. Formed from sandstone it rises 1086 metres at its highest point, the Maclears Beacon, above the bay and can be seen from any point in Cape Town. Its flat summit measures nearly three kms.